Cony Steidinger – The first dog Cony can remember of was her grandmother’s hugeGreat Dane. She was 3 years old and this is when she discovered her love for dogs. But it was a little bit too early to work with them. She got my first working dog in 2006, Popeye a Dalmatian-Mix. Popeye showed a lot of talent from the beginning and handled just about everything thrown at him. Cony has several groups of private citizens that she trains in trailing. 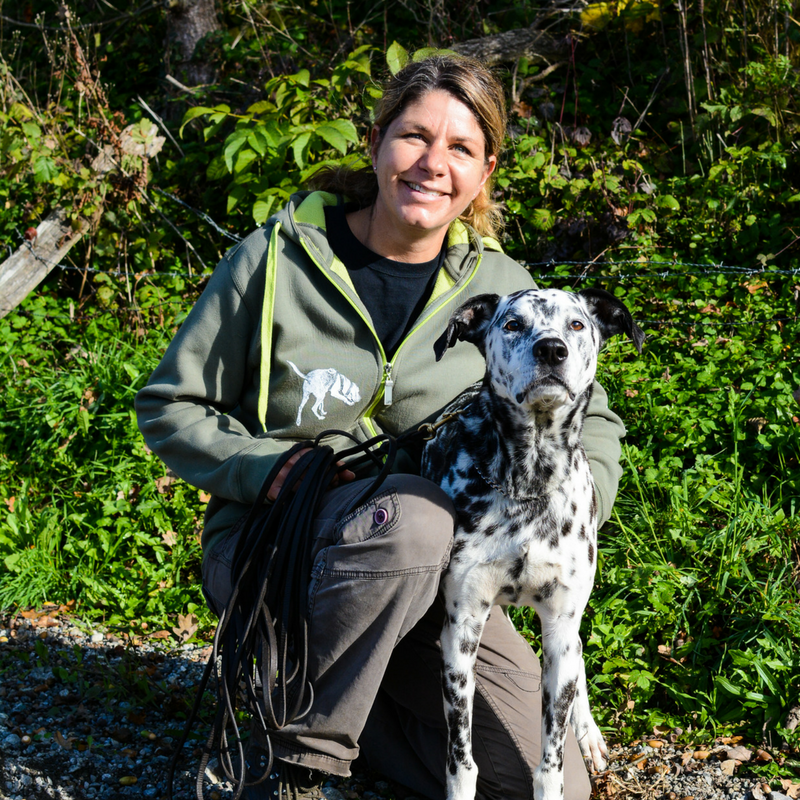 She is also a trainer at K-9 Manhunters (www.k9-manhunters.ch) and a member of the committee of K-9 Search & Rescue Association (www.k9-sra.ch). Cony has worked very closely with Jeff Schettler at his seminars in Switzerland.